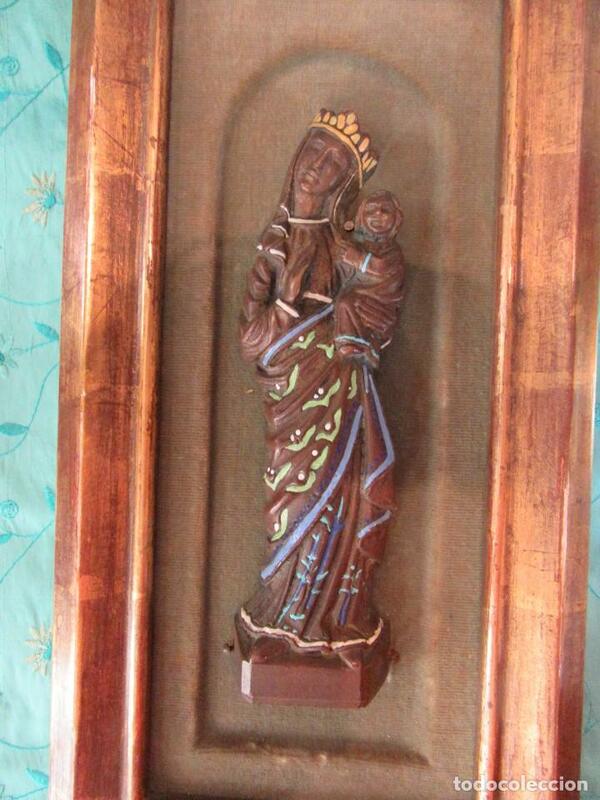 VIRGEN MORENA HECHA DE CERÁMICA, COLOCADA SOBRE BASE ENMARCADA. EL MARCO ES DE PAN DE ORO, PUEDEN VERSE LAS UNIONES DE LAS LÁMINAS. EN TOTAL EL MARCO MIDE 36 X 19 CM. 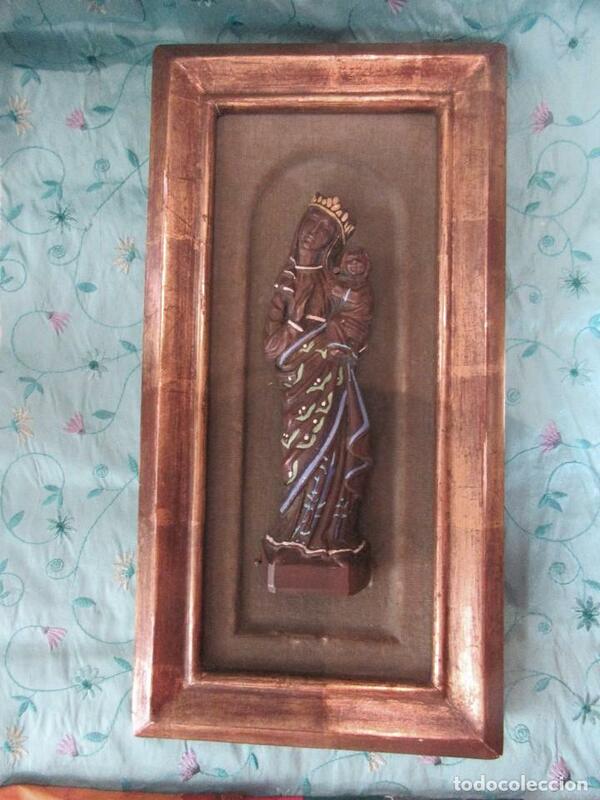 LA VIRGEN MIDE 20 CM DE ALTURA. Hora oficial TC: 14:01:45 TR: 81 ms.